Juegos There are 13 products. 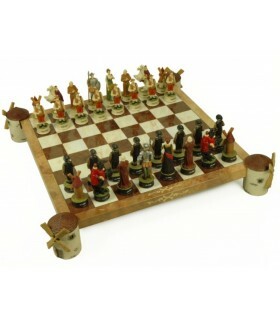 Chess boards with medieval motifs. 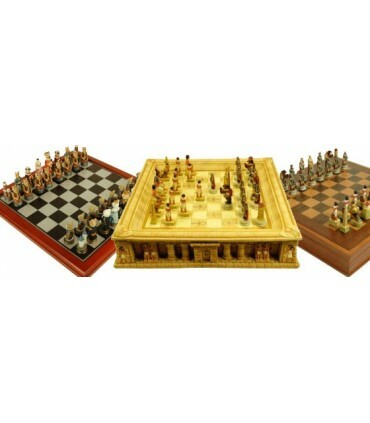 Medieval chess, Romans, Egyptians. 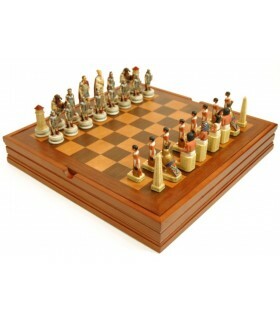 It is thought that chess comes from India (200-700 AD.) and its creator designed it to entertain the king, who asked him in return a grain of wheat for the first square, two for second, four by the third and so on, to cover the 64 squares that make up the board. It is also believed that the inventor was the Greek Palamedes, who created it during the siege of Troy, to distract the soldiers during the days of inaction. The Arabs learned from the Persian by the name of as-satrany and taught it to the Spanish. The first chess expert was the Arab al-Dali. 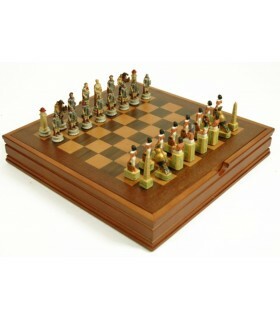 To Spain thus corresponds the honor of having introduced the noble game in Europe and to be cradle of the first theoretician of chess, Ruy Lopez, creator of a famous opening, who wrote a book of liberal invention and art of the game of Chess. 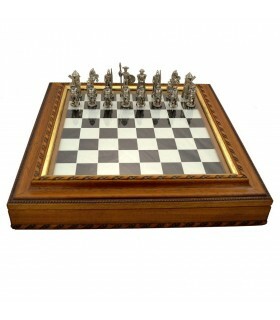 Original chess game dedicated to the figure of Don Quixote. It includes figures of Don Quixote, Sancho Panza, windmills, horses, friars and Dulcinea del Toboso. Board: 42 x 42 x 7 cm. (36 x 36 x 2 cm.) Sheets: 2.5 x 7.9 cm. 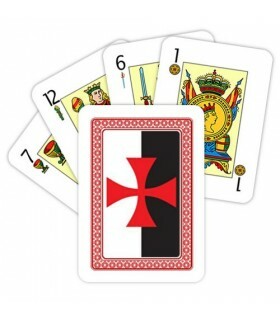 Deck Medieval Spanish custom with the design of the Templar Cross on the back of the cards. The baraja española is made up of 48 cards in four suits are oros, copas, bastos and swords. 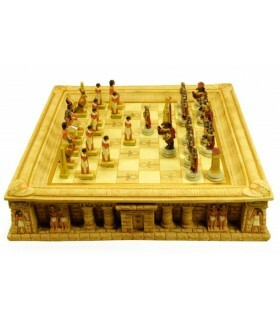 Romans against Egyptian chess. Made of resin. 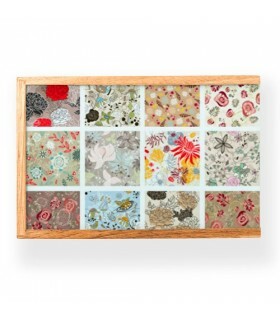 Board measures: 12x42x42 cms. Height records: 9-11 cms. Box with medieval games: cards, yo-yo, dominoes, pick-up sticks, marbles, jacks. They come presented in a wooden box. Chess struggle Egyptians and Romans. With compartments under the dash to accommodate the chips. Made of wood. 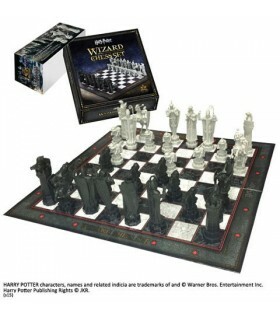 Chess Game Wizards of Harry Potter. Pieces Height: 11.5 cms. Board size: 47x47 cms. 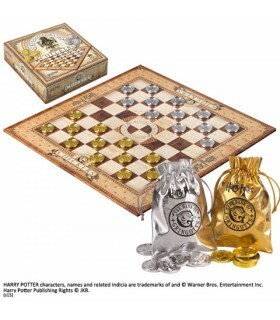 Game of checkers with golden and silver coins bank Gringotts Harry Potter. It includes board and cardboard box printed in four colors. Made of cardboard and talked. 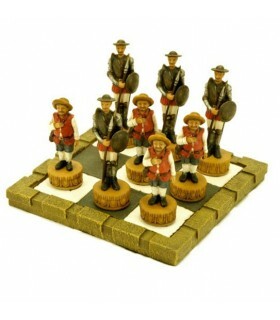 Chess Quijote craft, 31 cms. 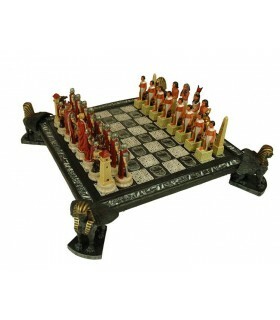 Chess Quijote craft, 36 cms. 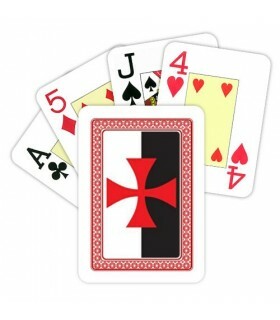 Deck French Medieval custom with the design of the Templar Cross on the back of the cards. The baraja española is composed of 55 cards; four suits which are hearts, diamonds, spades, and clubs.